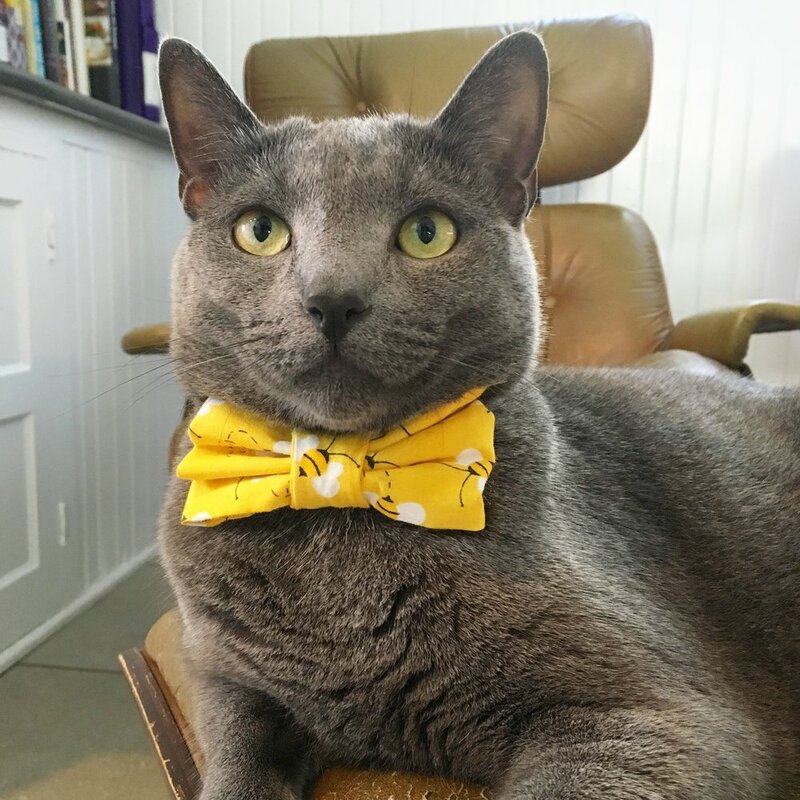 Today in "Interviews With Cats," may we present Buckminster (formerly known as "Speedo" - read on, you'll find out!). You may have seen Bucky in all his grey suaveness on Instagram - he is the creator of #BuckNakeyWednesday. Read on for his interview here! Editor's Note: Buckminster's interview has been scheduled for posting for a couple weeks now. Since that time, a recent change to Bucky's life has taken place, and he'd like to add a note before we begin the interview. A: My name is Buckminster, or Bucky, for short. 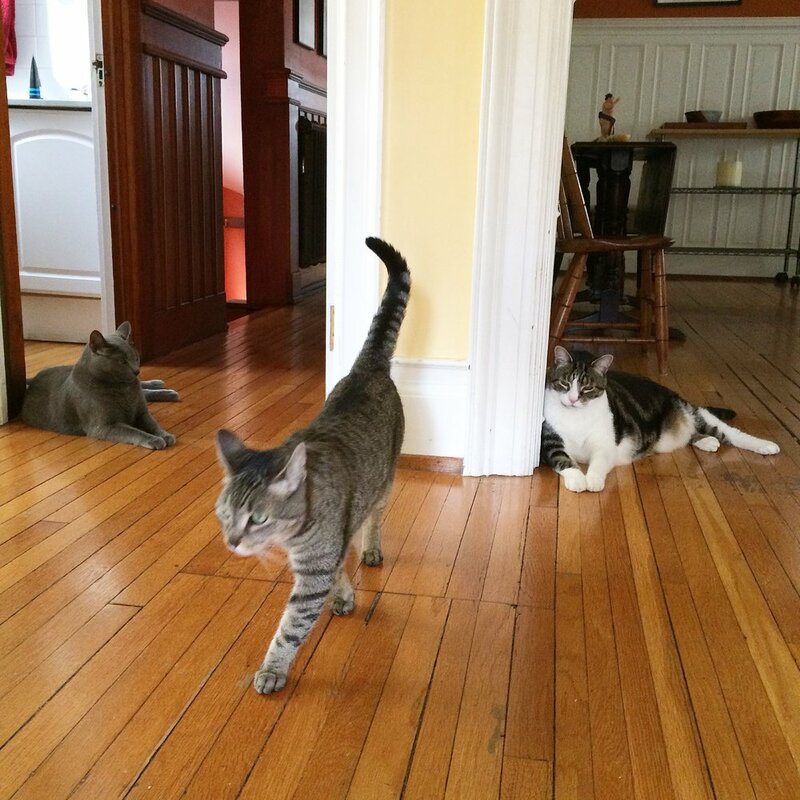 I am four years old and I live in Buffalo, NY, with my unrelated cat roommates Max and Peanut. I also sometimes go by the nicknames The Grey Bomber, and Buckmin Turner Overdrive. My shelter name was Speedo because of my secret white spot on my lower belly region. A: Yes! I am named after the brilliant and quirky architect, theorist and inventor of the geodesic dome, R. Buckminster Fuller. A: My best day ever was definitely the day I was adopted from the City of Buffalo Animal Shelter. The shelter volunteers had taken me and my littermates out to the local farmers’ market one Saturday for an adoption event. I was just a tiny kitten. My humans saw me there and decided that if no one adopted me by the end of the day they would go to the shelter and fetch me. Well I was still there at the end of the day (why, I have no idea) so a friend who works at the shelter called to let my humans know. They went right down and brought me home. And the rest is Buckminster history. My first day with the new fam! A: My favorite treat is definitely GimCat Malt Paste (cheese and malt flavor). I had never tried this until my friends Yoda and Findus @fellnasentogether sent me some all the way from Germany! I also like butter, but for some reason this is not offered freely. A: I get in trouble regularly for “herding” and “trapping” Peanut. I like to chase her into a room or area and then sit at the entrance so she can’t get out. Sometimes we fight. 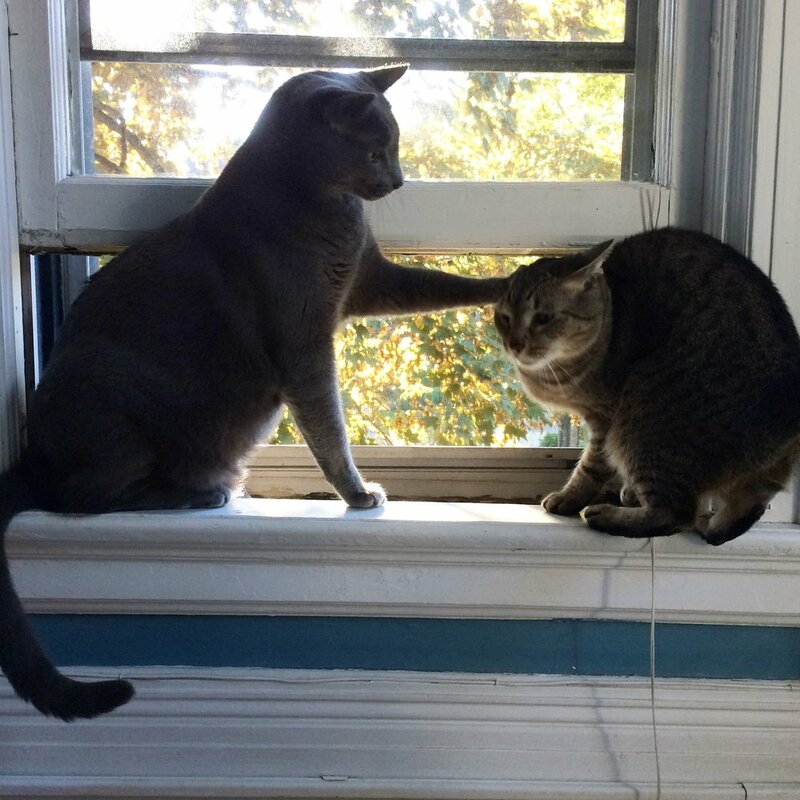 This just seems like sport to me, but it does make the humans angry. A: My favorite holiday comes every week! I call it #BuckNakeyWednesday and it’s when I let it all hang out, literally! I’m kind of an exhibitionist and I like to show off my secret white spot. A: I know that some cats (like Max and Peanut) are scared of them, but I LOVE catnip bubbles! I am an expert bubble popper. One of my fave pastimes! A: I do a very unique thing when I am content. My family calls it “nomming.” I grind my jaw and make a “nom, nom, nom” sound. They think it’s a throwback behavior from kittenhood. A: I like to help with chores, like changing the bed sheets and cleaning the fish tank. Why do they push me away when I’m just trying to help? I also like to sit on the newspaper when they are reading. It’s me or this newspaper. A: Grey, of course! I’m a member of the #greypower gang on Instagram! Grey, obviously. Someone fire this question-writer, stat! A: I have a lot of wonderful Instagram friends from all over the world, but my best friends are Max and Peanut (I’m not mean to Peanut all the time). Sometimes we even hang out in the same room together! A: I have an ongoing house project that I call “mid-century destruction.” It involves “improving” an old fake Eames chair with my claws. I’m pretty proud of my work so far. I’m also pretty accomplished at napping. Sep 13 Dream Job Alert: Tour Assistant To Acro-Cats Rock Band!